The Lady Bornekova Series was inspired by time I spent in the Czech Republic. I fell in love with the people, the land, the architecture, and, of course, the history. When I discovered the history behind the Jan Hus statue, I was all too eager for more! Add to that a visit to a hunting/summer chateau kept by the royal family outside of Hradec Kralove, and the wheels in my head were more than turning. 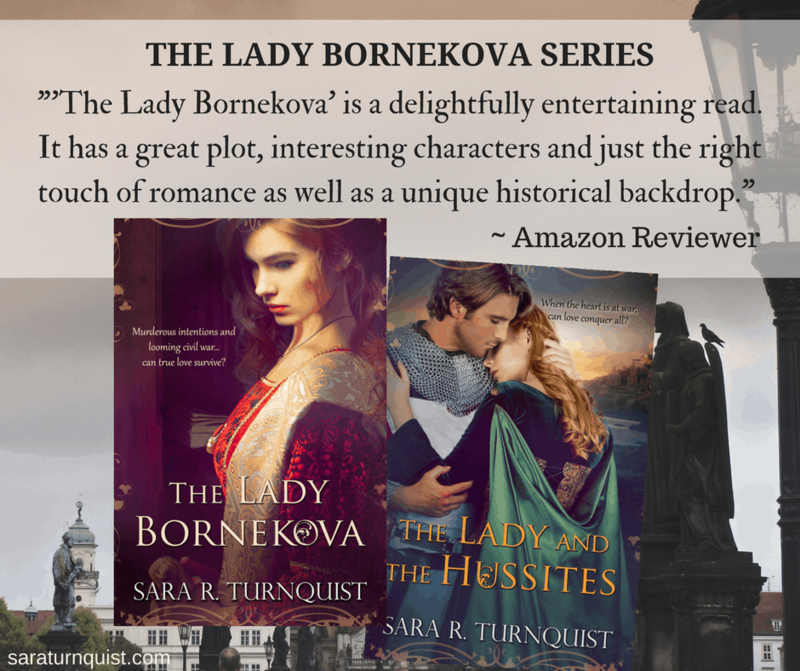 This book began as a one-shot, but I fell in love with the characters and just had to finish their story…what happens to them in the course of the 15-year Hussite Wars? For those of you who are completely lost, the Hussite Wars was a religious civil war fought in the Bohemian lands (current day Czech Republic). It was sparked by the teachings of Jan Hus (largely influenced by John Wycliff) who had some…challenges with the way the Catholic Church of the day was run. He was like Martin Luther before Martin Luther. (In fact, Martin Luther made a statement that he had been “a Hussite” all along.) Jan Hus was martyred for his stand against the Church and this led to conflict and eventually all out war. Though the wars lasted 15 years, there will not be like…a book per year. There were 5 “Anti-Hussite Crusades” on the part of the Catholic Church. These crusades will be the benchmarks for the books…I will cover at least one crusade per book. But, my female readers out there that don’t necessarily like to read a lot of fighting…no worries! I don’t either. There is only what fighting is absolutely necessary. This series is more about the relationships between the characters and how they interact and struggle during this major conflict in their land. A strong-willed lady torn between her heart and her duty. 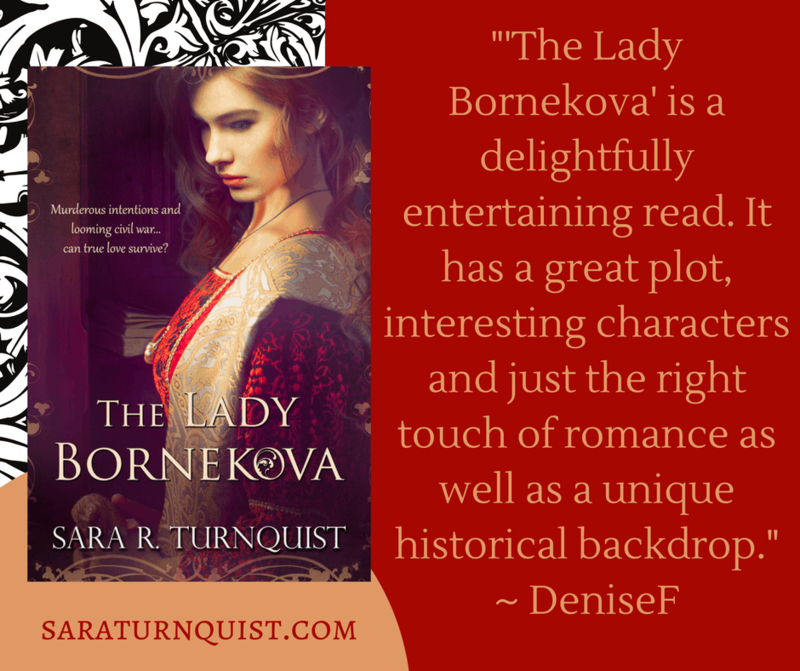 Karin Bornekova struggles with her duty to the Bohemian Crown. Harboring thoughts that could be deemed traitorous, she is sequestered to the Royal Viscount’s hunting lodge. She becomes the target of an individual with murderous intent. 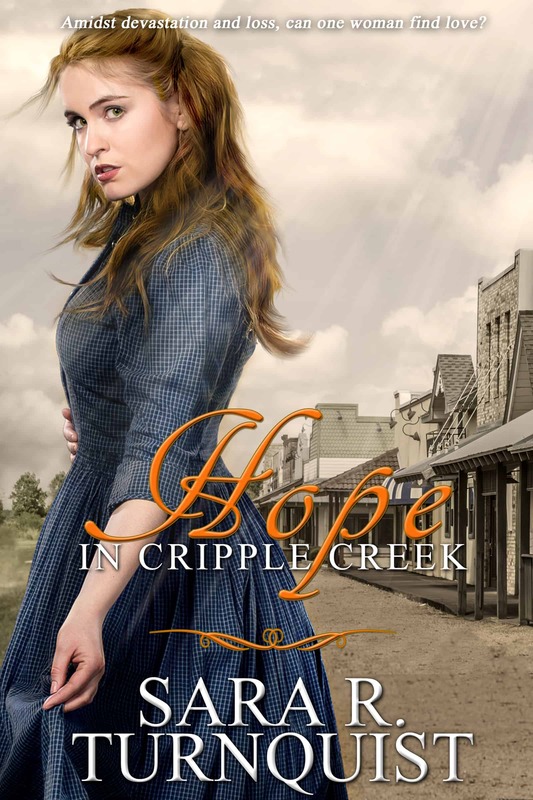 Her heart soon becomes entangled though her father intends to wed her to another. 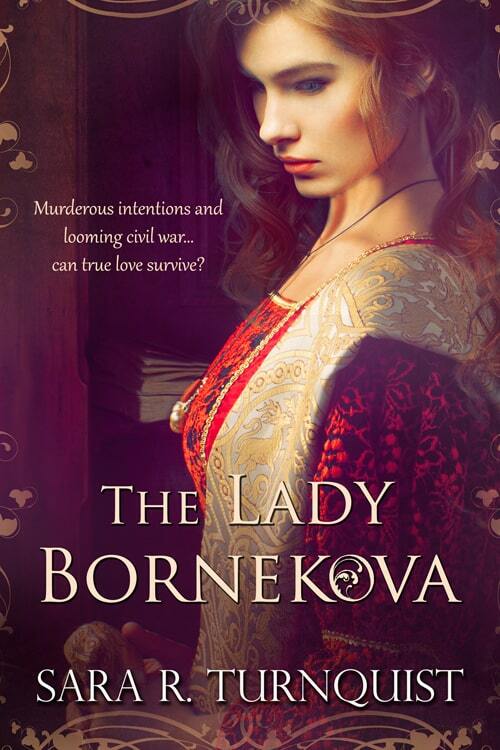 Dramatic, suspenseful, and heart-wrenching, The Lady Bornekova follows Karin as her homeland hovers on the brink of civil war. Karin sighed as she leaned on Pavel’s shoulder in blissful sleep. It was a sweet sound. Gentle, angelic even. They had not been underway for long, but the movement of the carriage had rocked her into pleasant dreams rather quickly. Pavel’s nerves were alert, seeming to tingle all at once with her so close. But he dare not move away, lest he wake her. So, he sat still, enjoying an even greater closeness than he had earlier that evening. The contact, while they danced, had been exciting. This was more peaceful but, because of the heat of their contact, enthralling all the same. As she rested, he listened to the rhythmic clip-clop of the horse’s hooves and focused on the gentle thumping of her heartbeat against his arm. A crunching sound echoed through the night. The carriage pitched to the side. Pavel grabbed Karin and held her tight to his body. Karin awoke with a start, eyes wide. “Don’t move!” he commanded, wrapping his arms tighter around her as the carriage landed hard, jolting them both. It continued to roll, slamming them into the side and threatening to throw them out the small window. That would put them in an even more dangerous position. Pavel kept his body stiff and held on to Karin. He could barely breathe. It was his body that had slammed into the wall and cushioned Karin’s. The car had not stopped moving, and it threatened to roll onto the roof, teetering precariously between roof and side. How much longer could he hold onto her? How much longer could they endure? Karin and Pavel arrive safely at his parents’ home in southern Bohemia, but things are not as they seem. There are secrets between them. A wall goes up. And then Pavel is called into battle. Radek and Zdenek are pulled into the conflict of the Hussite Wars despite their best efforts to remain neutral, while Stepan finds himself ready for bloodshed. With tensions mounting within their circle and throughout their country, what will become of Pavel and Karin? Can they find their way back to each other? 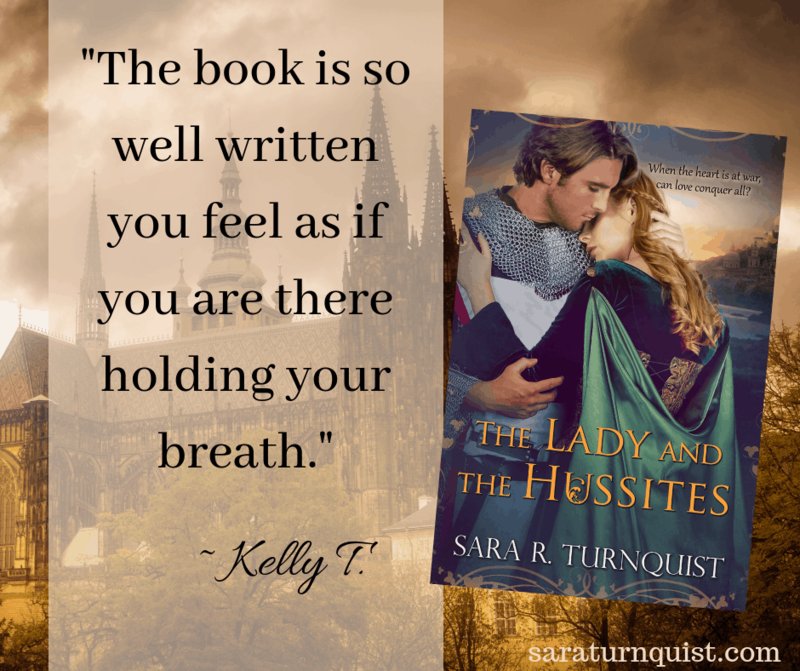 Can Karin and Pavel hold onto each other amidst the hardships of war? Turning his attention to his beloved, Pavel drew Karin to the horse. He traced a finger down the side of her face as if he could memorize her features more vividly than he already had. He leaned in to kiss her once more. This was not the most fevered, passionate kiss they had shared. Not with his parents looking on. Rather it was sweet, tender, filled with hope and promise. When he pulled back this time, Pavel allowed his fingers to linger on her face but a handful of seconds before he broke all contact with her and mounted his steed. But as she stepped away from the horse’s body, he sought her face. It would be for naught—merely serving to delay him further. Still, he could not stop himself. But she would not turn. Even as she reached his mother, Karin would not face him. And he understood. She had met the limits of her strength. So he urged the horse onward, keeping his eyes on the horizon. I love reading regency romance novels. The winner of the 2 ebooks is Cassandra D! Look for the ebooks in your e-mail soon! The winner of the $10 Amazon Gift Card is Calvin F.! Congratulations! Look for that gift card in your e-mail soon!